Gather ingredients, cutting board, knife, foil, food processor and baking sheet. Take both the chicken breasts and fillet them because you want them to be thinner for the sandwich. Lay foil over baking sheet with the 4 pieces of chicken. Cover with a pinch of olive oil, salt and pepper and all sides. Let cook for 40 minutes. While the chicken cooks, begin the kale pesto sauce. In the food processor, dump 3/4 cup almonds, 1/2 cup olive oil, 2 garlic cloves, 1 cup parmesan cheese, salt and pepper to taste, and 10 kale leaves. Blend for 3 minutes. Taste and add salt if needed. Blend 1 more minute. After chicken is finished cooking, remove from oven. 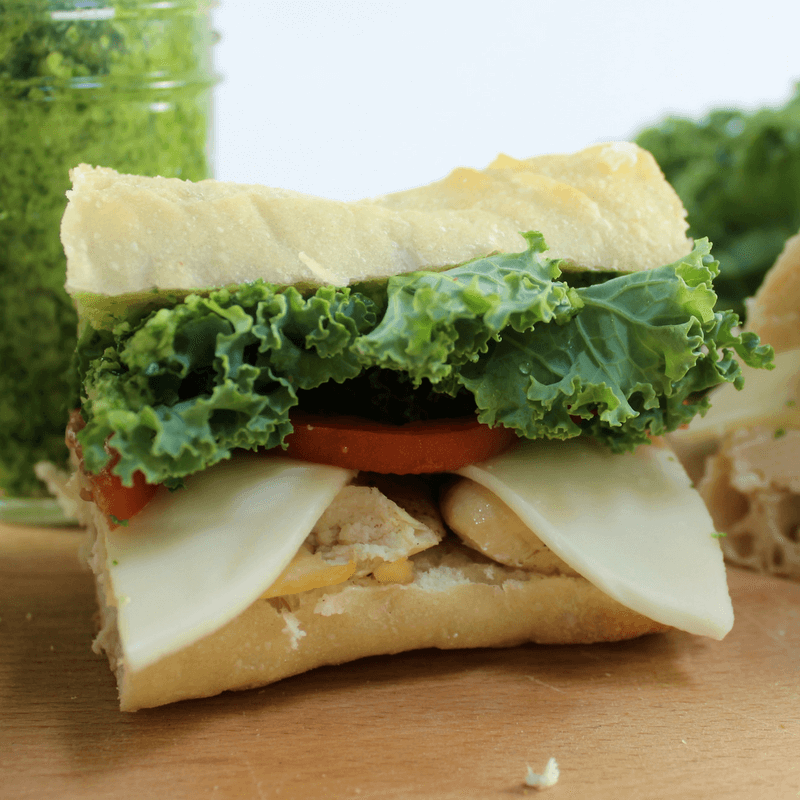 Assemble sandwiches with chicken on bottom, cheese, tomatoes, and kale (optional), slather top of French bread with the kale pesto and viola!